Chevy Dealership Opens Doors for the First Time after 40 years and find Cars Inside with less than 10 miles!!! 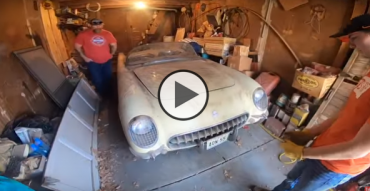 1955 Corvette Barn Find Extraction, parked in1977 – the lighter side of hoarding!! Fire-breathing Camaro is INSANE – Street Outlaw Prospect?! 1968 Coronet R/T 440 Tear Down – You Won’t Believe What’s Inside!! Two Awesome Dodge Chargers Found Parked Beside Abandoned Business!! Beater Bomb’s “NEW” Setup, HATE TANK, Gudfar & MORE at “No-Prep Mayhem 2019”! 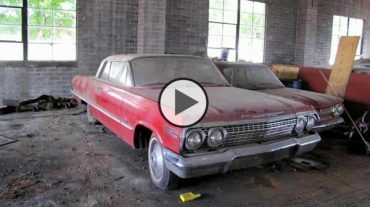 Robert Allen on Who is Patrick Glenn Nichols, the guy behind all those amazing muscle car barn finds!? edward granger on Virginia Man Strikes GOLD With 1970 LS6 SS454 Chevelle That Runs after Being Parked 35 Years!!! Brandon on 620HP 1955 Chevy Bel Air cutouts installed, Sounds so bad!! Pablo on COLD START, WILL IT RUN? 1980 Chevy C30 Crew Cab Dually Pickup!! Pablo on Sleeper 1970 F-100 Embarrasses Tuned 2011 Silverado!